The wonderfully diverse country of South Africa is fit to burst with incredible sights, from modern day cities to wildlife sanctuaries and idyllic beaches. With so much to see, here we've put together some insider tips to help you get the most out of your trip without breaking the bank. Like any trip, one of the most costly elements is bound to be your flights. It's important to hunt around for a good fare, and fortunately Webjet can help with that by comparing, mixing and matching the best deals on offer to get you from AU to SA. Once you've booked your tickets, there is good news in the form of the exchange rate. The Australian dollar usually holds strong against the South African rand, with currency expert XE's reports showing that over the past five years, the rate for one Aussie dollar has increased from R6 to R10. This is great news if you're travelling to the subcontinent, as similar to Southeast Asia, you can expect to get quite a bang for your buck if you know where to go, that is. Markets in South Africa can be a veritable trove of curios and collectibles, as well as unique art and crafts and some 'lekker' ('nice' in Afrikaans) food. If you're staying in the beautiful Cape Town, head on down to the Neighbourgoods Market at the Old Biscuit Mill. Here, each trader is hand selected, selling artisanal culinary delights, farm and butchery goods (grab some biltong while you're at it!) as well as local and organic produce – there are over 100 to discover! Not too far away is the lively Bay Harbour market in Cape Town's Hout Bay, selling a wide range of scrumptious food and hosting foot-stomping live music on the weekend. Staying in Johannesburg? Check out Market on Main downtown, another great place where you can find a bargain on fresh, tasty food as well as clothing, crafts and accessories. Enjoy some great fresh produce at some of South Africa's markets. One of the perks of enjoying the natural beauty of this incredible country is that it doesn't cost you an arm or a leg to do so. 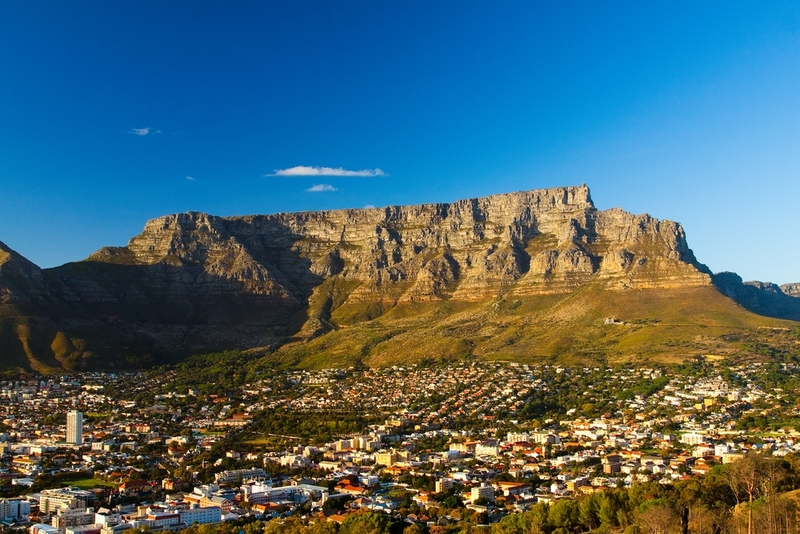 Hiking up the iconic Table Mountain with an experienced guide will set you back a minimum of R700, approximately AU$70. A bargain compared to hiking in Australia's Blue Mountains, which can cost upwards of AU$150 for adults. If you're not feeling up to a climb, take a leisurely cruise through Namaqualand, affectionately known as South Africa's Outback. About five hour's north of Cape Town on the N7, the arid landscape is carpeted with bright wild flowers, with the 'the flower route' passing through the towns of Springbok, Port Nolloth and Kamieskroon. Another incredible drive is the journey to 'Gods Window', arguably one of the most stunning vantage points in the world. For a token R10 entrance fee, you can take a passenger car up the Panorama Route to discover this breathtaking vista across the Lowveld of the Blyde River Canyon Nature Reserve. Make sure to bring a camera and your best gobsmacked expression. A trip to Africa would simply be incomplete without some quality time with some of the magnificent beasts who call it home. When you think of Africa, penguins may not be the first of these creatures to come to mind, but on the coast of Cape Town, you'll find the remarkable Boulders Penguin Colony. Home to over 2,000 endangered African penguins, you can get up close and personal with these wonderful animals for a small entrance fee of just R60 (about AU$6). Take a stroll along the boardwalk that runs alongside the Foxy and Boulders beaches, giving you a great view of the local penguin residents. You can then settle down on the sand and take a swim in the balmy waters while the penguins roam freely around you. Truly a magical way to spend some time in the African sun. Time for your close up with a lion in the Gauteng. For a more traditional South African animal experience, you simply have to see one of the 'Big Five'. While safari expeditions aren't always the cheapest, there are plenty of ways to get your fix on a budget. Lion Park in the Gauteng is an award-winning encounter experience, where you are guaranteed to have a close up, but safe meeting with lions. 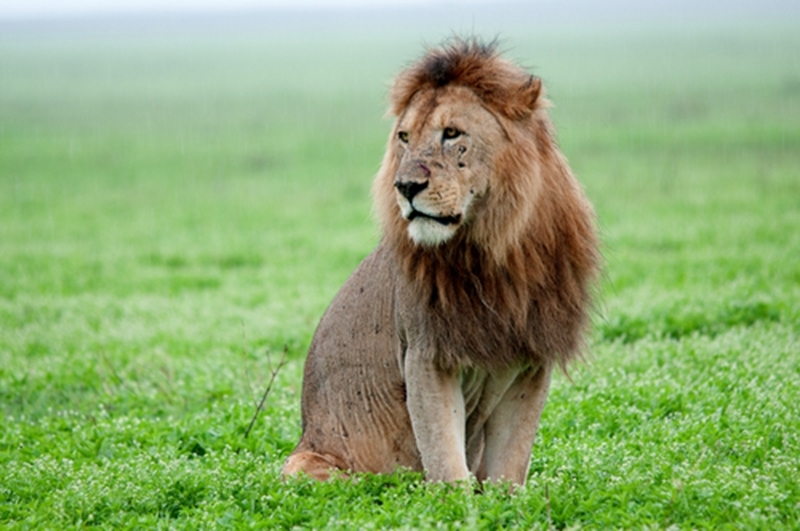 A self-drive tour, including a lion cub encounter costs just R200 (just under AU$20 – the cost of a trip to the cinema). There is also the incredible Walking With Lions Tour, which will set you back R600 – a small price to pay for a once in a lifetime experience! There's also a lion feeding tour and a Walking With Cheetah tour on offer, so we understand if you end up coming back for more.